Highly secured and customized Data Center cages today. Backed with 100% SLA, these cages comprise customized rack layouts for maximum space utilization. 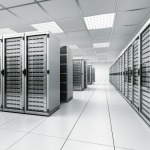 We are a premier data center services provider offering clients a range of safe and secure DC cages to ensure round the clock security of their crucial and sensitive data. If you own a business and need a colocation space with complete security, BrainPulse offers you now. 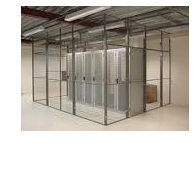 We offer clients highly customizable data center cages configured to accomplish their DC cages requirements. Backed with unbreakable security measures, our colocation cages give you complete peace of mind. At BrainPulse, we do believe that a data center has certain vulnerable areas where security threats are maximum. Computer servers, tape silos and network equipments are mostly exposed to common physical threats such as thefts, intrusion and physical damage. These data center cages are deliberately designed with durable standards of our enclosure systems using highly robust steel construction. The cages we provide are modular and easily scalable as per your business requirements. You can ask us for a large cage to be segmented or request us to add an existing configuration as per your business needs in India. Easy and hassle free system installation. Key-locked access doors to ensure maximum defence against the intrusion. Fully customized DC cages cage layout with designed racks. Modular and reconfigurable cages as per your business needs. Restricted entry via electronic access control system. Our industry endorsed data center cages are configured as the most suitable server cabinet solutions in order to accomplish your business requirements. These high end cages are equipped with a competent Tier III Data center environment, customized rack layouts and server colocation facility for maximum space utilization. For maximum utility we offer features such as biometric access control and intra-cage video surveillance with every cage in order to ensure optimum security and protection. Customized high floor-bolted steel cage fencing. 120V, 208V single phase, and 208V three phase power available. The power feed available inside the cages are backed by individual UPS systems with unique Locking facility for each data center cabinet inside the cage. At our carrier neutral data center facility we offer you blended Dedicated Internet Access (DIA), point-to-point and point-to-multipoint services with maximum on-site protection. Proactive network and facilities maintenance. Manned NOC with certified professionals. Hot Aisle/Cold Aisle Cooling Configuration. Still have queries? Call us now on 0120-6790400 to get in touch with our Dedicated Server experts. They will tell you about our exclusive Data Center cages made specially for the businesses like you.